The program warps a part of an image into a given form which you have selected on another image. For example if you have a aerial image of a bridge with a curved shape and want to match its curved shape to a rectangular map with a coordinate system. The program can match the coordinate system to the bridge or the bridge to the coordinate system. You load both images into the program at the top part. Then you can specify the 4 corners with the left mouse button. But with the right mouse button you can add additional points between the two first and the two last corner points. 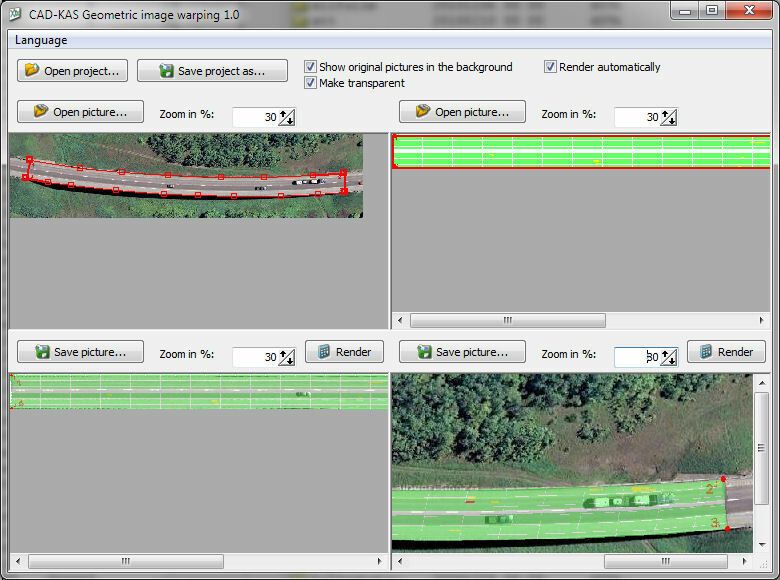 The software Photogrammetric image rectification could also be interesting for you.